This thorough and meticulous study, the result of nearly a quarter-century of research, examines the island biogeography of plants on continental islands in Barkley Sound, British Columbia. Invaluable both because of its geographical setting and because of the duration of the study, Plants on Islands summarizes the diversity, dynamics, and distribution of the approximately three hundred species of plants on more than two hundred islands. Martin Cody uses his extensive data set to test various aspects of island biogeographic theory. His thoughtful analysis, constrained by taxon and region, elucidates and enhances the understanding of the biogeographic patterns and dynamics. He provides an overview of the basic theory, concepts, and analytical tools of island biogeography. Also discussed are island relaxation to lower equilibrium species numbers post-isolation, plant distributions variously limited by island area, isolation and climatic differences, adaptation to local abiotic and biotic environments within islands, and the evolution of different island phenotypes. The book concludes with a valuable consideration of equilibrium concepts and of the interplay of coexistence and competition. 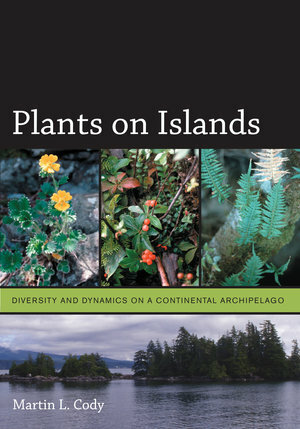 Certain to challenge, Plants on Islands is among the first books to critically analyze the central tenets of the theory of island biogeography. Martin L. Cody is Professor of Biology at the University of California, Los Angeles. Among the books he has coedited are Biogeography of Islands in the Sea of Cortez (2002), Long-Term Studies of Vertebrate Communities (1996), Ecology and Evolution of Communities (1985), and Habitat Selection in Birds (1975). Is There an Equilibrium out There?